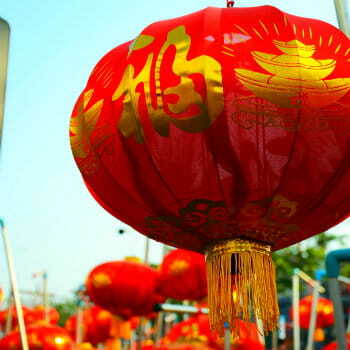 Known as an important event around the world with colourful decorations, parades, folk traditions, and a magical feast, Chinese New Year, also called as the Lunar New Year or Chinese Spring Festival, is a movable holiday. Kicking off usually in mid-February, a large population of Chinese in Australia welcome the festivities each year with sumptuous reunion dinners, ringing of bells, watching traditional lion dances and fireworks. 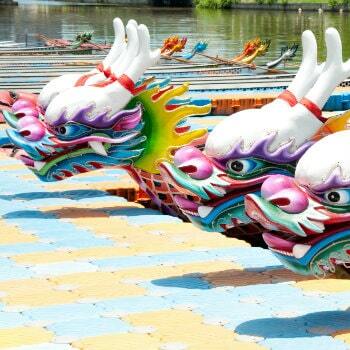 The annual celebrations last for 15 days, marking it as the longest holiday in the Chinese calendar. 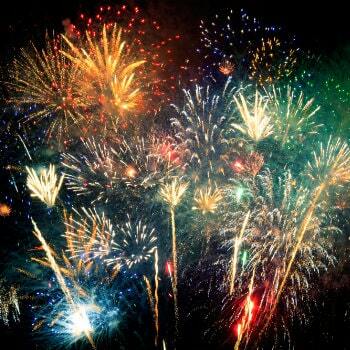 Check out our cool list for fun and several things you can do to join the vibrant festivities. Where to stay? There are endless accommodation options in Sydney. From budget to top end - there are plenty to choose from. Getting there: If you are coming from Sydney Airport (SYD), you can also rent a car at the airport and go on a 20-minute drive via M1. Experience the magic of the Chinese New Year as Adelaide's Chinatown play host with a street party on Gouger Street. 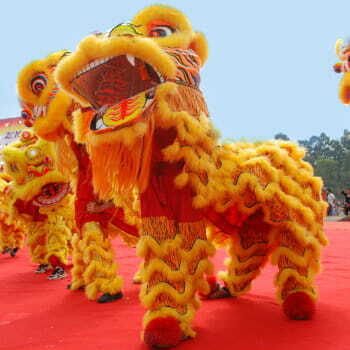 Joining forces to provide the biggest roving lion dance ever in South Australia are 20 lions from local dance troupes. 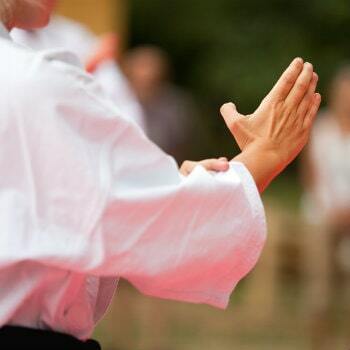 Also worth witnessing is a wonderful martial arts line-up featuring exhibitions from the Jeet Kune Do Academy and The Chinese Wushu & Taichi Academy. Where to stay? From great suites to affordable hotels and beachside apartments, the city of Adelaide has accommodation to suit every taste and budget. Getting there: If you will be arriving via Adelaide Airport (ADL), you can also hire a car from there and go on a 15-minute drive via Sir Donald Bradman Drive/A6 to explore the city. Be entertained by the Chinese Community Association of Tasmania as they play host on the manicured lawns of Parliament House during the Lunar Year. A lantern festival with lion dancing and other live performances are held at the Hobart Town Hall. In addition, don't forget to treat your taste buds to a bonanza of authentic recipes from China, Indonesia, Korea and Philippines. Where to stay? From affordable apartments to bed and breakfasts, there are plenty of hotels to choose from in Hobart. Getting there: Pick up your car hire in Hobart or if you are arriving from Hobart Airport (HBA), you can also book a car rental from there and go on a 18-minute drive via Tasman Hwy/A3 to experience the city. Melbourne is another hotspot for Chinese New Year festivals offering two amazing weeks of citywide lighting installations, great performances and entertainment, firecrackers and public activities. Everyone is welcome to join the fun in Melbourne's Chinatown, with the Dai Loong Millennium Dragon parade keeping the tradition alive that goes back to the 1830s. Other regional cities such as Bendigo, Geelong and Ballarat play host to several Chinese New Year Festivals. Where to stay: From luxury hotels, boutique hotels and budget hotels, there are plenty of accommodation options to choose from in Melbourne. Getting there: If you are coming from Melbourne Airport (MEL), you can also rent a car at the airport and go on a 26-minute drive via M2. Enjoy the Perth Chinese New Year for free with a multicultural concert, exciting games and fun rides. Northbridge is hosting traditional Chinese music and dance, plus parade, martial arts, stalls and firecrackers. 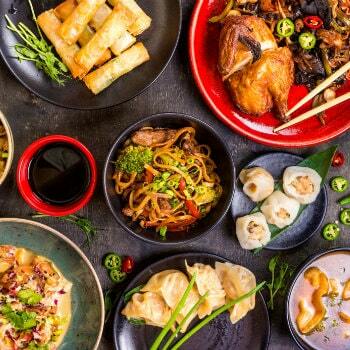 Head down in Chinatown on Roe Street for some amazing cultural performances and then eat some authentic Chinese food at Lucky Chan's or at Baby Mammoth. Or sample some traditional Chinese food at the Pan Pacific Hotel. Where to stay? Perth offers a diverse range of accommodation options to suit all budgets and styles. You'll find plenty of hotels, hostels and apartments here. Getting there: You can pick up your car rental in Perth and explore the area or if you are arriving from Perth Airport (PER), you can also rent a car at the airport and go on a 20-minute drive via National Highway 94 to reach the city. Canberra is offering some spectacular events. Each year, the National Multicultural Festival provides residents and visitors with three jam-packed days of fun, cultural performances, food and festivities designed for all visitors to enjoy. 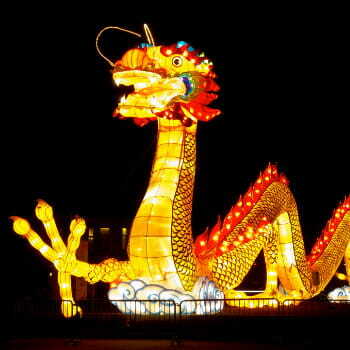 The Canberra Beijing Gardens Lantern festival features a lantern making workshop and hold a nighttime parade. For something to eat, worth checking out is the XO Restaurant in Narrabundah as they host their own celebration, with traditional dishes. Where to stay: You will find a wide range of accommodation to suit your style in Canberra, including QT Canberra, Little National Hotel and East Hotel. Getting there: You can pick up your car rental in Canberra or if you are coming from Canberra Airport (CBR), you can take the Pialligo Avenue and Morshead Drive to reach the city. Supported by Cairns Regional Council, the city of Cairns is transformed into little China for three weeks. Aside from thousands of local attendees, the Lunar Year celebrations in Cairns gather around 10,000 Chinese nationals each year. They usually hold major Chinese New Year attractions on Grafton Street. These include cultural performances, food and market stalls. Not to be missed is the Street Festival and the parade which features the traditional Chinese dragon, lions and the 12 zodiac animals. For good luck and fortune, make sure to feed the dancing lion. Where to stay? Providing a wide range of accommodation options to suit your budget, you'll find plenty of hotels, backpacker hostels and apartments in Cairns. Getting there: If you will be arriving via Cairns Airport (CNS), you can also rent a car from there and go on a 16-minute drive via Airport Avenue and Lake Street to get to the city.